From the LYWB.com Team: All month we’ve been encouraging you to seek out a mentor and to find ways to mentor others. If you’ve been hurt by a fellow Christian or a Christian leader, this may feel like terrifying advice. That’s why I pulled over this post I wrote for ERLC.com about how to cope when other Christians disappoint us. Check it out. Maybe it’s your pastor or mentor. Maybe it’s someone in your Bible study. Maybe it’s a famous Christian in the news. They’ve sinned. They’ve said they believe one thing and lived like they believed something else. Their life is messier than you could have imagined, and you feel disappointed, angry, confused, disillusioned, sad . . .
All have sinned. As in every single one of us. 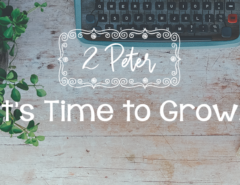 The fact that every person on earth is a sinner in desperate need of a Savior never stops being a shock to our systems, but it is a constant reminder of how desperately we need grace. 2. Sin exposed is a good thing. We have no business keeping parts of our life in the dark. Although painful, it is a gift when sin is dragged into the light. Jesus is the light of the world (John 8:12). He calls us to live like bright cities on a hill (Matt. 5:14–16). We have no business keeping parts of our life in the dark. When God exposes dark parts of a person’s life or heart, it is an act of mercy and an opportunity for us to thank Him for His extravagant grace. 3. The cross was built for heavy loads. He himself bore our sins in his body on the tree, that we might die to sin and live to righteousness. By his wounds you have been healed (1 Peter 2:24). There’s no sin we can throw at it that the cross is not big enough to handle. From time to time, we need a reminder of what makes us Christians. It isn’t that we have perfect lives. 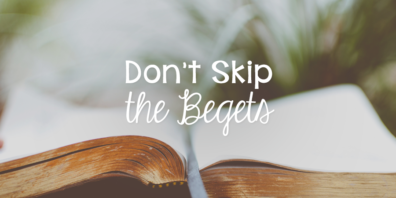 It isn’t that we listen to the right Christian music or say “no” to certain books or movies. We are Christians because we have put our faith in Jesus and His redemptive work on the cross. The violence of the cross is necessary because of our sin. Jesus did not have to hang on the cross any longer for your disgraced pastor than He did for you. The cross is big enough to carry any sin, “big” or “small.” There’s no sin we can throw at it that the cross is not big enough to handle. 4. Speak the truth (in love). So that we may no longer be children, tossed to and fro by the waves and carried about by every wind of doctrine, by human cunning, by craftiness in deceitful schemes. Rather, speaking the truth in love, we are to grow up in every way into him who is the head, into Christ (Eph. 4:14–15). God’s intention is not that we live our lives in a constant tug of war. We are to protect and guide each other by speaking the truth in love. We need to remind each other what God’s Word says—often. That’s not the same as blasting someone on your Facebook wall or on Twitter. Which brings me to #5. 5. Gossip about sinners is a sin. Romans 1:29 lists gossips among murderers, slanderers, and haters of God. Ephesians 4:29 says unless it builds others up, don’t say it. Talking to others about someone else’s sin does nothing to restore their relationship with God or others. Responding to other people’s sin with disgust or feelings of self-righteousness is like worrying about a little sawdust in a friend’s eye while a two-by-four sticks out of our own. Our sin has a way of blinding us to the ways we are missing the mark and making us hypersensitive to how others fall short. While the Bible does teach us to lovingly remind other Christians about how God calls us to live, that’s not our first mission. We must be most concerned with the sin in our own lives. 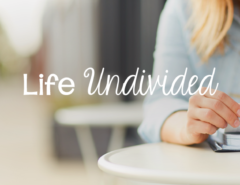 When you see the impact of sin in the life of someone else, take the opportunity to assess your own life. Repeat the prayer of King David, and ask the Lord to root out all sin in your heart. and lead me in the way everlasting! (Ps. 139:23–24). In the wake of the horrific Charleston shooting in 2015, USA Today published an article that said this. When Christians are in the news, it’s usually because they have done something wrong—they’ve gotten on the wrong side of a culture war or cheated on their wife, or worse. What the world rarely gets to see is the powerful grace that flows from a deep faith predicated on the belief that we are all sinners in need of forgiveness. These are graphic pictures of forgiveness. Forgiveness often feels so gut wrenching that we want to run in the opposite direction. But the Bible reminds us that we can extend forgiveness because we have been forgiven of so much. 8. The world is watching. The article quoted above is proof that the world is watching. Yes, they watch when we fall short, but they also watch when we respond to sin like God has called us to. “But you will receive power when the Holy Spirit has come upon you, and you will be my witnesses in Jerusalem and in all Judea and Samaria, and to the end of the earth” (Acts 1:8). We are the billboard God wants to use to tell the world about Him. What story are you telling with your response to sin in your own life and in the lives of others? 9. Prayer is a weapon that works. When someone sins, we want to do something. God has given us a two-pronged plan of attack. Therefore, confess your sins to one another and pray for one another, that you may be healed. The prayer of a righteous person has great power as it is working (James 5:16). First, go to war with sin in your own life. If someone in your world is caught in sin, pray like crazy for them. It really is that simple. As Christians, we will continue to disappoint each other. We will sin in public and in private. We will mess up our lives and hurt each other. We will all fall short of the standard of holiness God has set for us. That’s the cloud, but there is a silver lining. All sin reminds us of our great need and His great sacrifice. 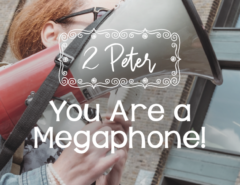 How can you respond to others in light of this earthshaking truth? 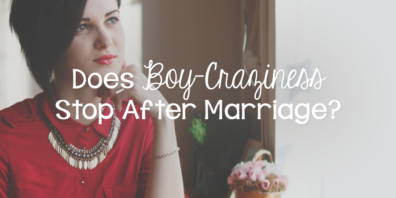 Next Article Does Boy-Craziness Stop After Marriage?